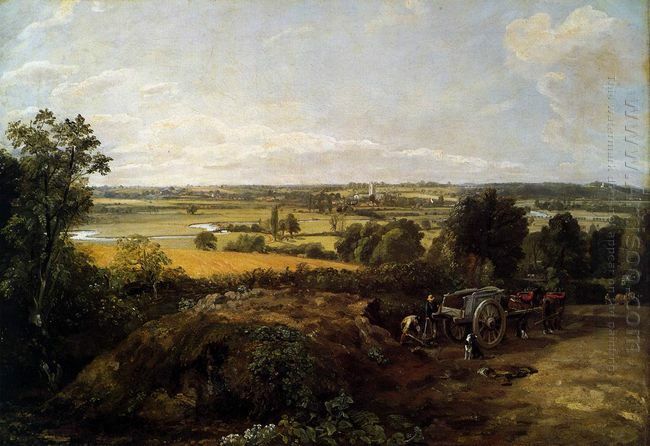 The best works of John Constable all depict British areas that he is familiar with: these places make him interact with the nature. 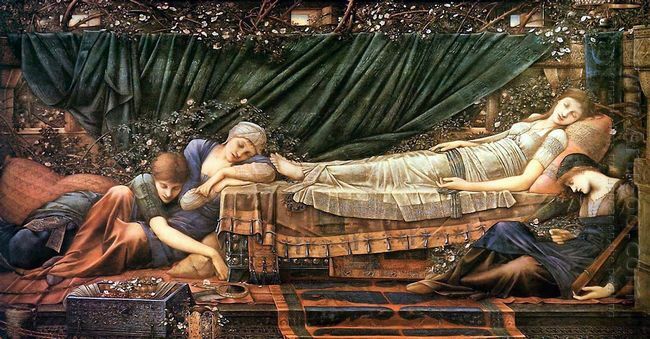 He is unlike another British landscape painter Turner who can draw the scenery at any where and at any time. Before creation, he will be immersed in the local scenery and appreciate it with sincerity. 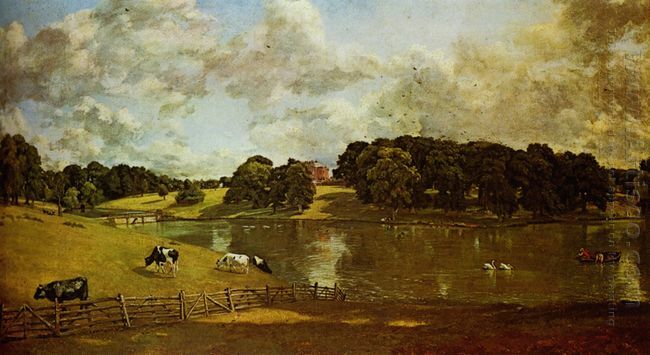 Hampstead Heath made in 1820 by Constable shows the novelty, truth, simplicity and harmony, which are obtained from his observation for the nature. 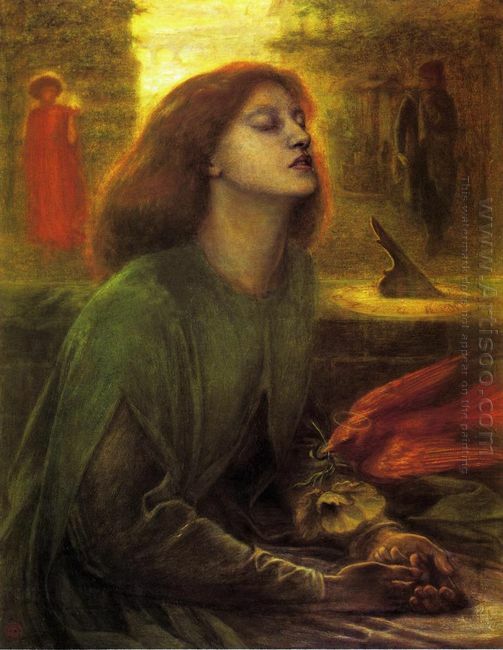 The shade depicted at the bottom of the painting makes a stark contrast with the green in the upper part of the painting. Such scene is like placing in the huge green clouds. The shades of light in the perspective change freely with the direction of sunshine. The character in the foreground is also influenced by this technique: a farmer is filling the pond after the heavy rain. 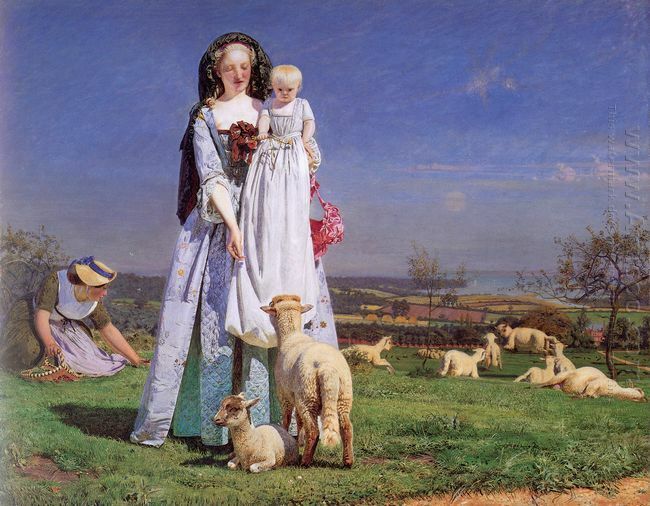 Constable likes the field scenery under the blue sky and the white clouds. He emphasizes the importance of sky in the landscape painting. He once said, “If the landscape painter does not take the sky as a material part of his works, then he has ignored one of the greatest assistant of his own. People often advise me to regard the sky as a blank sheet of paper. Indeed, if the sky is bright (as in my paintings), it would be very bad, but if you avoid the sky, that would be much worse. It must be and always will be one of the most influential parts of my work. It is difficult to classify or name the works where the sky is no the main structure, standard and basic emotional part…The sky is a natural source of light, ruling everything.” When Constable is painting the sky, he always writes down the date, time and wind’s direction, the sky he has painted is not the simple color arrangement, but with the image of life. He said, “The sky should and will become an effective part of the composition. 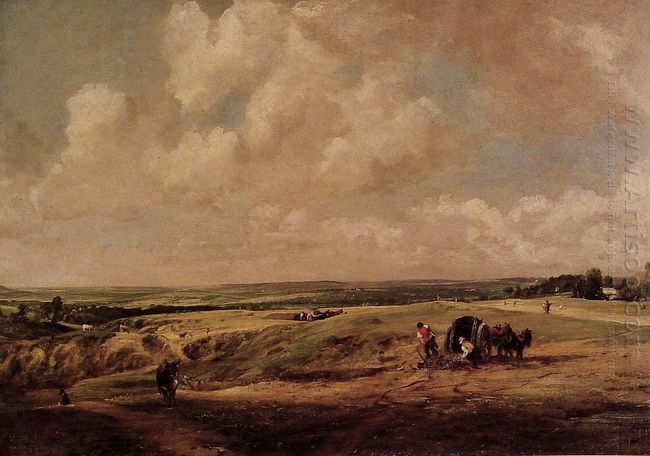 This painting depicts the scenery with a wide view and the sky’s dominant position. The cascading hills and irregularly rugged slopes have long been unmentioned and walked by anyone, but they still contain the life. 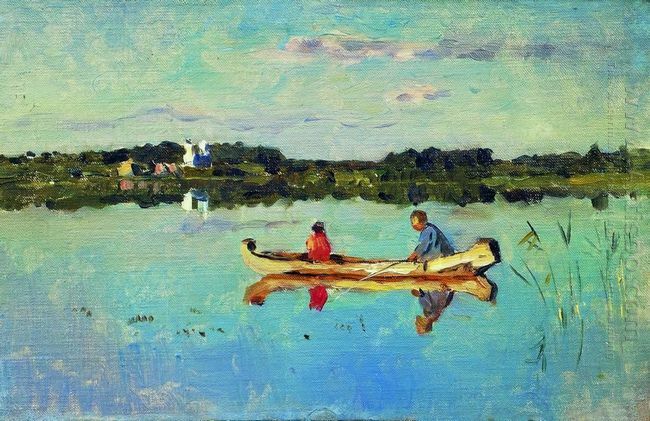 The painter uses the fine strokes and colors to truthfully portray the outlook of different objects and textures and makes the viewers feel fresh with the smooth curves to depict the field.